48. Clutch-box. The pinion at the top gives a continuous rotary motion to the gear below, to which is attached half the clutch, and both turn loosely on the shaft. 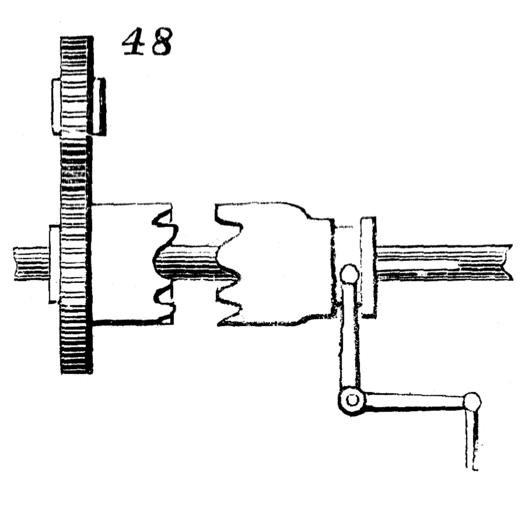 When it is desired to give motion to the shaft, the other part of the clutch, which slides upon a key or feather fixed in the shaft, is thrust into gear by the lever.